A lost writer, an old manuscript (partly in unknown tongues), a sinister puppet show, a timeslip into the far future, and a bitter understanding of what lies behind the façade of the world. It’s a brave writer who could take those ancient rituals of the dark fantastic and make them work in a fervid new form. 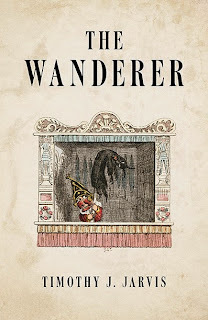 But that is the achievement of The Wanderer by Timothy J Jarvis, an astonishing debut novel deeply infused with the traditions of supernatural and metaphysical fiction. It has been devised with a subtle understanding of the motifs and mechanics of the strange and visionary in literature. The skilful use of stories within stories suggests Arthur Machen’s The Three Impostors, while the scenes of a ruined city after a catastrophe, bring to mind images from M P Shiel’s The Purple Cloud, or Edward Shanks’ People of the Ruins. And there are also suggestions of a wider cosmic tragedy such as we encounter in Hope Hodgson’s The Night Land, and even of the serene realm of Shangri La in James Hilton’s Lost Horizon. It is an unusual meditation on the nature of fantasy, that shunned half-brother of literature, which also astutely exemplifies the form: a book essentially about the mainsprings of the macabre that works itself as a significant new coiling of the dark. But it is far from an academic treatise. The book shifts between sordid pubs and smeared rooms, evoked with grimy authenticity, and weird horizons in worlds of dream or hallucination. 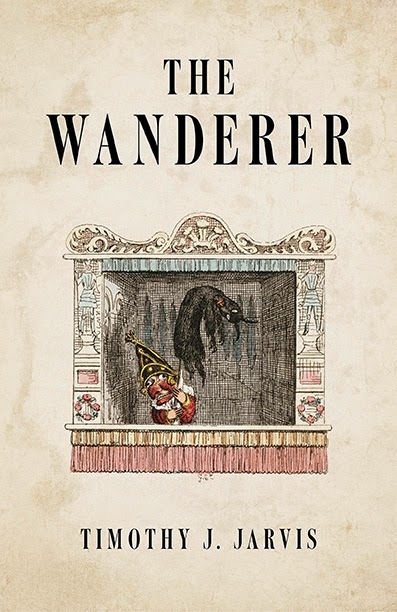 Most of all, though, The Wanderer is that rare thing, a thoroughly engrossing and exhilarating story, laced with playfulness, which also glimmers with intelligence and audacity. We should be wary, though. The book itself reveals a force seeking out certain artists, poets, and others, as prey it can pursue forever through the underworld – an infinitely dark and cruel game of the kind hinted at by Sarban in The Sound of His Horn, but vaster still in its remorselessness and terror. How do we know it isn’t one more lure in that labyrinth? Don’t read this book unless you’re ready to defy the gates of Hell. This sounds very intriguing - ordered! c.
It really is rare to find a debut so inventive and assured - reminded me of The Anubis Gates by Tim Powers, and that's a compliment and a half!